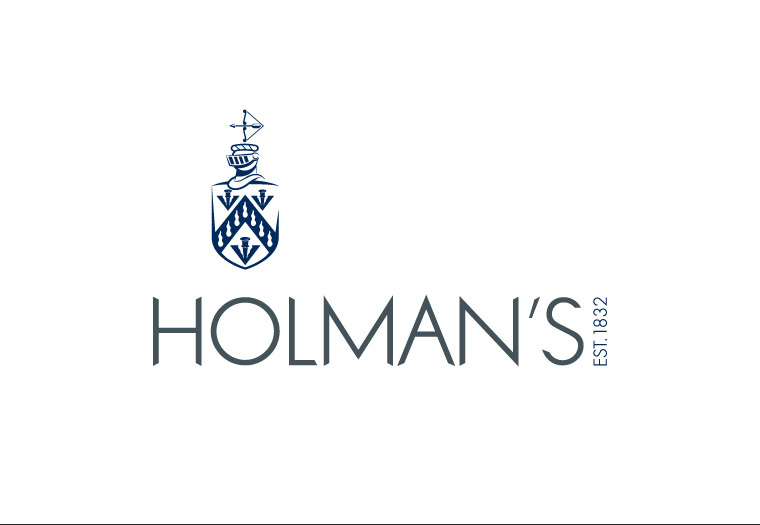 Independent insurance brokers, Holman's, wished to explore the idea of refreshing their long standing corporate identity as part of a study of their overall branding presentation. Key to the brief was modernisation whilst maintaining a sense of heritage. What resulted was a completely new interpretation of the coat of arms, presenting it as a simplified and more flexible corporate icon. 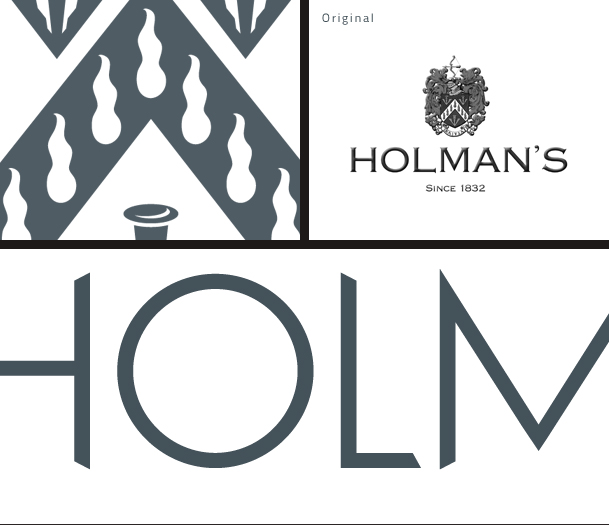 This was then combined with a customised logotype that paid tribute to the crafting of the original. Using angular cuts, the refreshed identity presents a more dynamic, modernised personality. 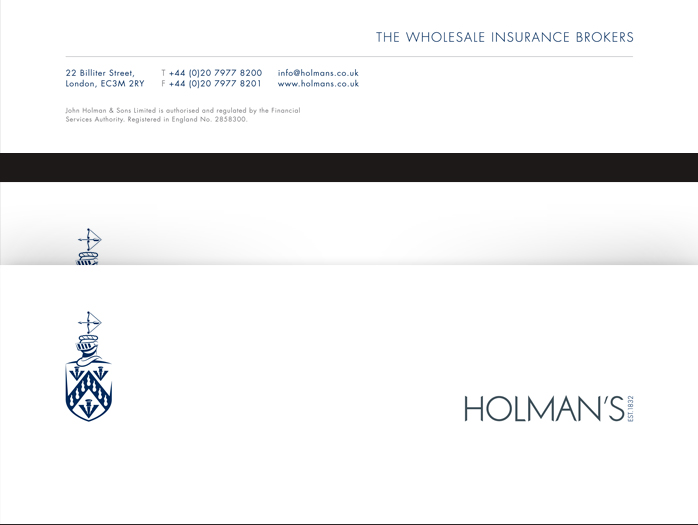 Re-design of independent insurance brokers, Holman’s corporate identity. Close-up of the re-crafted corporate identity crest. 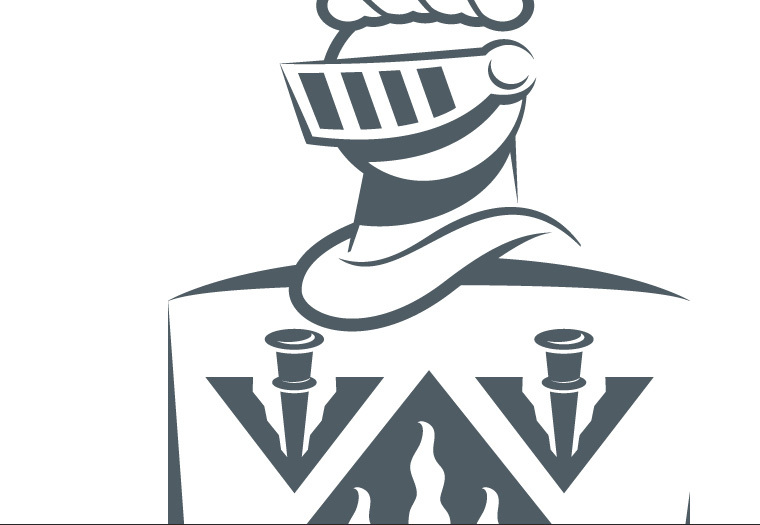 Close-up of the crest elements, the original logo and the newly re-cut logotype. 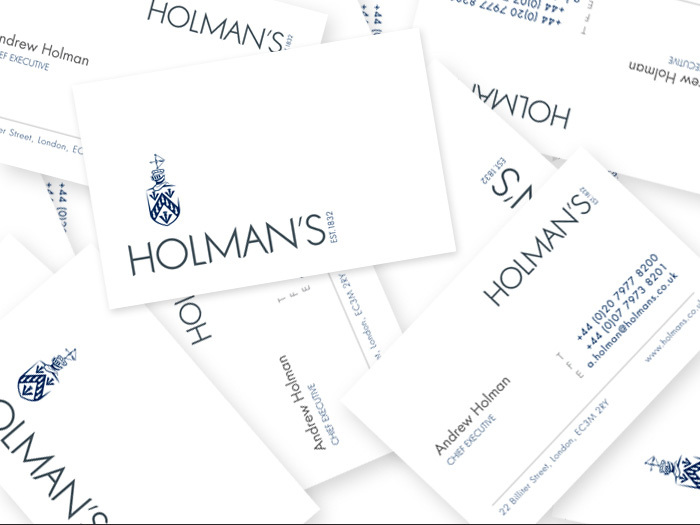 Holman’s corporate stationery letterhead design.